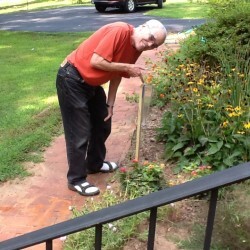 A Happy Outdoor Home Rain Gauge Customer! Here is a fabulous picture Jane Turney sent in of her husband showing off their newly installed Outdoor Home Rain Gauge. We LOVE it… Why don’t you send in a picture of your rain gauge too, we would love to receive them! 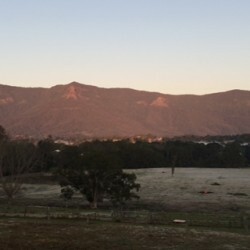 Woke up to a beautiful scene… A blanket of white in the valley and the promise of a beautiful sunny day. The Outdoor Home Rain Gauge took the chill in its stride, still looking good! New Addition To The Outdoor Home Family! OutdoorHome; New Product Vanish Mold Has Arrived!